Selous Safari from Dar es Salaam or from Zanzibar Island. Our 3 Days Selous Safari from Dar es Salaam is one of the few short tours that one can take by road (or by air) from the capital city of Tanzania, or from the Spice Island of Zanzibar. ‘Tanzania safaris’ sparks thoughts of an African safari in the most famous parks in the northern Tanzania, the likes of Serengeti, Tarangire and Ngorongoro Crater but these parts are just part of the classical safari in Tanzania. Tanzania however has some of the world’s un-touched wilderness areas and most of them are in the Southern Tanzania and western parts of Tanzania. 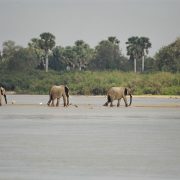 one search place is Selous Game Reserve. Among these virgin African bushes is The Selous Game Reserve which is also the largest game reserve in Africa. This park is easily accessible by road from Dar es Salaam but also by air from Arusha or Serengeti. We can incorporate Selous Game Reserve into a longer itinerary that includes the usual highlights of a Tanzania Safari or offer a package to only Selous. Selous Game Reserve can be included in a longer safari in Southern Tanzania that also includes a visit to Mikumi National Park, Udzungwa Mountains National Park as well as Ruaha National Park. Apart from enjoying normal safari game drives by car, one unique thing about Selous safari is the ability to go for a walking safari in the Selous Game Reserve. Walking Safari in Selous is a unique way to explore the African wilderness on foot sighting the animals at very close range. Safety comes first so in all our Selous Walking safaris you will be accompanied by an armed ranger. 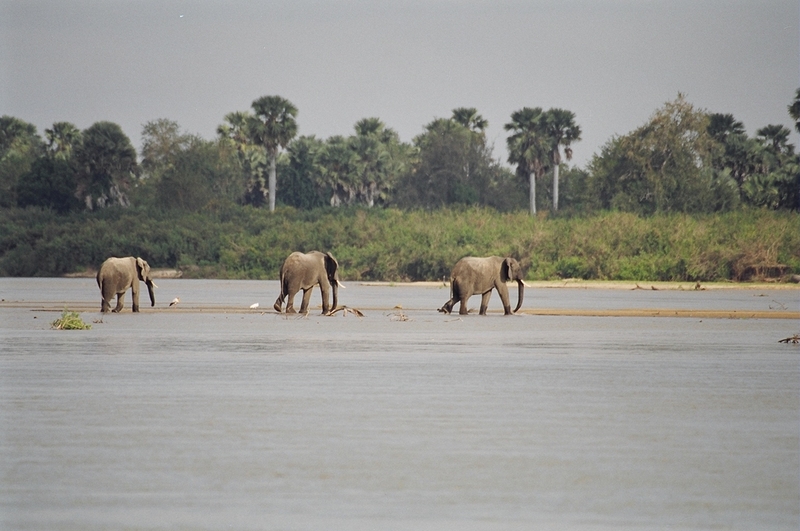 Boat safari is another very interesting activity that you can do while on safari in the Selous Game Reserve. If you are driving from Dar es Salaam, doing the boat safari in Selous on the first afternoon is usually one interesting way to start your Selous Safari. Next time you visit Tanzania and you wish to do a Selous Safari, or visit Selous as part of your longer safari in Tanzania, please ask our experts to include a walking safari as well as a boat safari in your Selous safari. Other safaris that include the Selous Game REserve safari are our 8 day Southern Tanzania Safari including Mikumi, Ruaha and the incredible Selous Game Reserve. During this 3 days safari in Selous Game Reserve you will be accommodated in Selous Mapumziko Lodge a nice mid range lodge located at the banks of Rufiji River but we can also offer the same package with upgraded accommodation in the form of lodges and fixed tented camps depending on your budget and preference. 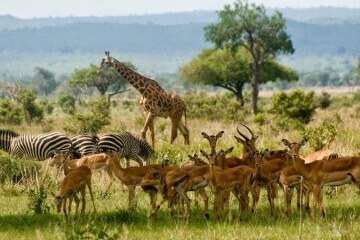 On the first day of the safari you will leave Dar es Salaam early morning and drive to Selous game reserve. Selous is quite a distance so you will arrive by mid day and on arrival and after lunch; you will go for a boat ride in the Rufiji River. 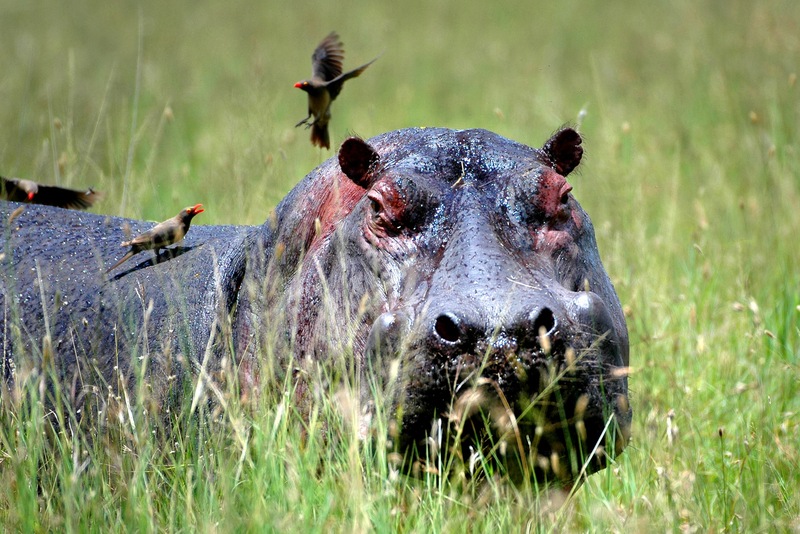 Crocodiles, hippos and hippos can be seen here as well as other animals as they converge to quench their thirst. Crocodiles take advantage to hunt their prey and you might be treated to sights of animal action if lucky. Overnight at Selous Mapumziko Lodge perched right at at the banks of Rufiji River. On this day you will spend a full day in the vast Game Reserve doing game drives in search of animals like elephants, zebras, gazelles, impalas and the rarest of all; the African Wild dogs. This Game Reserve was named after a prominent European explorer; the late Fredrick Selous and the reserve has since been declared a world heritage site by the UN body UNESCO. This game reserve is roughly the size of Switzerland and it covers unexploited African wilderness with topography that varies from rolling savannah grassland plains, savannah woodlands and rocky out crops that are believed to have been cut by the Rufiji River. Among the activities on offer here includes boat trips, a walking safari and game drives by 4×4 vehicles. Overnight at Selous Mapumziko Lodge. All meals included. Early morning game drive or a nature walk then after breakfast you embark on your drive back to Dar es Salaam by road. You will arrive Dar es Salaam in the afternoon if you drive by road.. If you are flying to Zanzibar then you will be transferred to the airstrip to take your flight to Zanzibar. This tour can be done as a camping Safari in public Campsites just outside the Game reserve of Selous. 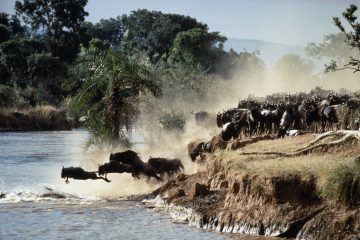 Flying safaris from Zanzibar can be arranged to Selous as well as safari packages to Selous from Arusha town in Northern Tanzania.